I was talking with a geologist friend recently, who is not a caver, about some recent surveying, and they asked whether the survey had included notes about the geology of the different passages/pitches/cross sections. It didn’t, but the question made me think about whether it should have. I am interested in geology, but am not a geologist and know very little about it — for those out there who do know geology: would it be useful to make notes on geology when surveying? If so, what observations should I record and what questions should I try to answer? I assume that collecting information about the different layers of rock, faults, dip, etc. around the cave would potentially allow some predictions about where best to push next in order to find more nice passage. Or can we derive all the same predictions just from looking at the plan/elevation of centre line data in Survex and seeing how all the passages are grouping? Have a look at Steve Warren's recently published book of Dales cave surveys for a lovely example of how the geology can be flagged up without detracting from the main purpose of the survey, or without it becoming a morass of information. If your geologist friend says it would be useful, then it probably is a good idea. I suspect the information that would be useful to cavers may not be the same as information useful to a petrologist, for example. I'd suggest things like angles of dip, fault lines and the throw and direction of the fault if possible. Sections could include fossil bands, obvious bedding features such as shale beds. It would probably be a sensible idea to produce a survey specifically to show geological features, and not simply add more information to something that may already be cluttered with things solely of interest to cavers (like formations, pitch depths, etc). Absolutely essential information regarding a cave survey I would say. Most of our digs have been reliant on geological information. How these features are exposed in caves is well worth recording. In Vurley we have intersected a cobble layer between two limestone lithologies which I dont think is exposed anywhere else in the area. 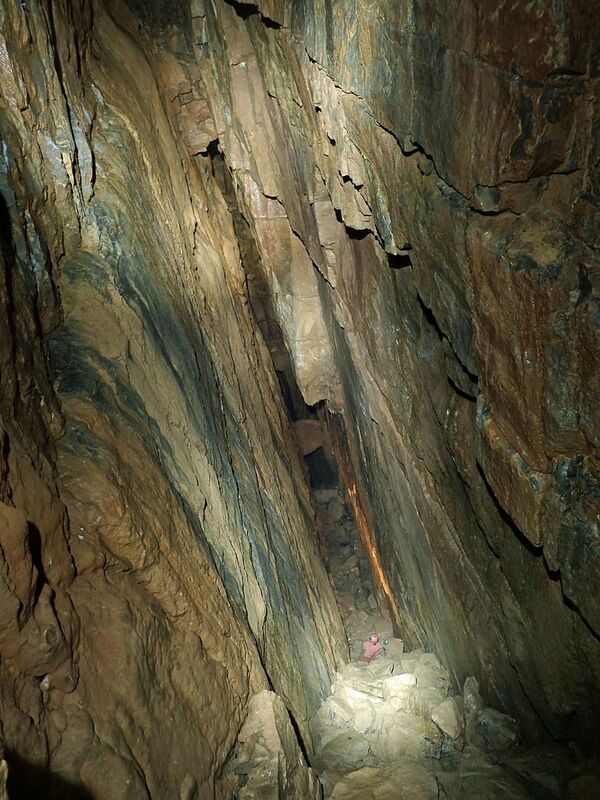 Also the cave relies predominantly on its location due to faults associated with the South West Overthrust. Reservoir Hole too has numerous arrears of geological interest. Making the average caver aware of such things can only add to the enjoyment of the sport. You mean https://whiterosepotholeclub.com/cave-surveys-from-the-yorkshire-dales/? I can’t see any geological information in the previews there. OK, so as a non-geologist, what should I look out for and record? Alternatively, got any reading recommendations so I can learn more about (relevant) geology? 1 Like flakey likes this. Ahh that's the hard part as the survey usually comes before the geological and morphological assessment which usually appears some time later. 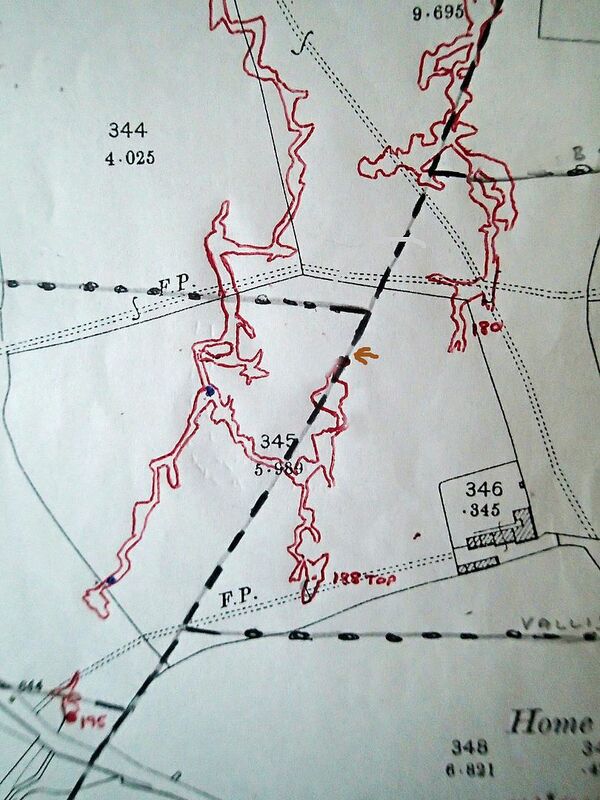 With Reservoir Hole it was evaluated by noted geologist Mr A Farrant in UBSS Proceedings. Clearly a survey has to be done as a matter of priority for any number of reasons, route finding, relationship to surface features etc. Maybe a second edition of a survey could be produced at a later date as few cavers probably read the more detailed literature. I would think that any cave digger has a basic idea of cave related geology or should have otherwise he is working in the dark so to speak. Every caving area has its own unique geology so its probably best to concentrate on ( or under ) your own turf. When " escorting " folk around the caves I am a warden for I usually point out salient features. Anyway just going into caves without any understanding them can hardly be very worthwhile. 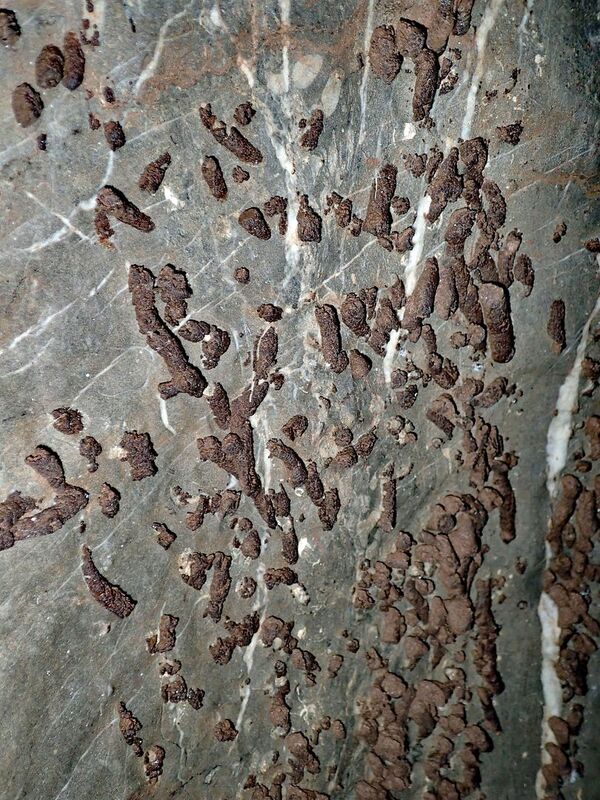 Lithostrotian fossil corals exposed in Balch Cave, Mendip. Probably the best exposure in any Mendip Cave. This section of cave is not gated. Unconformity. Slates overlying Devonian Limestone seen close to Holwell Cavern on the Quantocks. The cave is partly formed at this juncture. 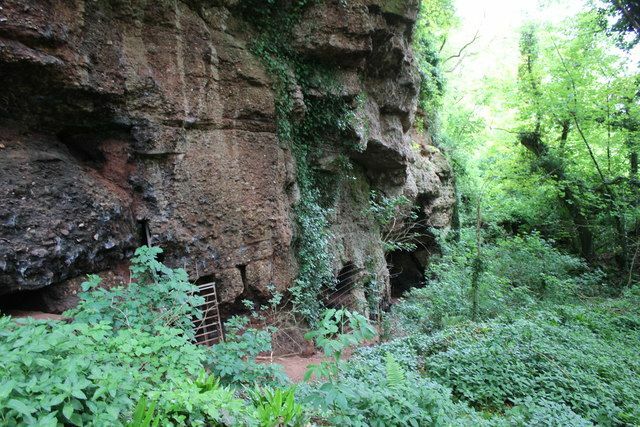 Thickly bedded and fissured Dolomitic Conglomerate at Quaking House Cave, Somerset. Cryogenic stal, 30,000 years old in Reservoir Hole. Fault aligned slickenside rift at Golgotha, Reservoir Hole. A phreatic up loop. My attempt to match lithology displacement and the Withybrook fault together with surface features at Fairy Cave Quarry. When I was learning to dive I had a very old tutor who helped me considerably ( I could not even swim back then ). In the sea with the group he once said. " Look at them . They dash around and don't " see " anything." Caving should not be like that either. I am all for geological information on surveys, though i am biased as i teach geological mapping it at a UK university. That said i do not think its important. The most important thing is that the baseline survey is accurate (ideal with survey stations placed on key features that can be found in the future i.e. bolts on a pitch). I agree with The Old Ruminator, once the survey is drawn up (the hard bit in my opinion), its is easy for someone who has geological knowledge to record observations on it a later date. That is what i am planning on doing for myown ongoing survey project. The level of information reported really depends on what the aim of the project is and the knowledge of the survey team. 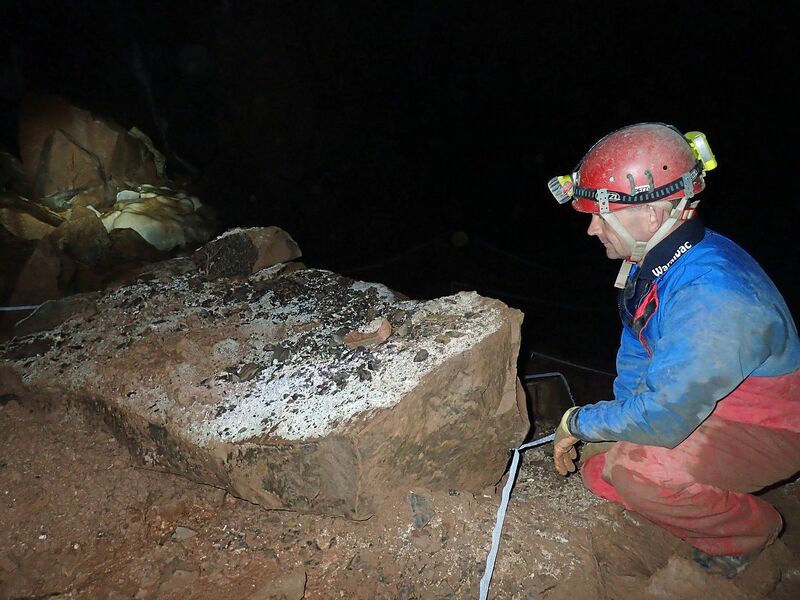 I have found that most cavers are a quite knowledgeable when it comes to geology and there is quite a lot of people with a geological background skulking around caving clubs. The only thing i sometimes wish was recorded on cave surveys is observations relating to speleogenesis, is passage developed along a fault or along a specific or distinctive bedding plane etc. This information is useful to someone who can recognize features as a double check your in the right place. I often remember key geological features as route markers. For example in pool sink there is a fantastic fault plane, complete with a beautiful example of fault drag, at the start of razor rift. That said any good survey should also have a associated descriptive account of the cave which usually contains this kind of information. In the book each survey has a small box which reveals the main beds seen in the cave. It helps you identify at a glance where you are in the sequence. But it's done subtly, so it doesn't interfere with most cavers' reasons for looking at the drawings. You'd need to look at a real copy to see what I mean. I bought one as soon as I saw it. Many other surveys already have geological information shown, such as faults, joints - and details of shale beds, so their influence on the development of the cave is revealed. Many of the surveys in the classic series of ULSA journals are good examples of the latter. Any geological/geomorphological observations on surveys is better than none. This doesn't need to be complicated. Simple things like scallop flow directions, sediment ripple marks or cross bedding would be good. The dip of the rocks is another pretty simple thing to measure in a cave. 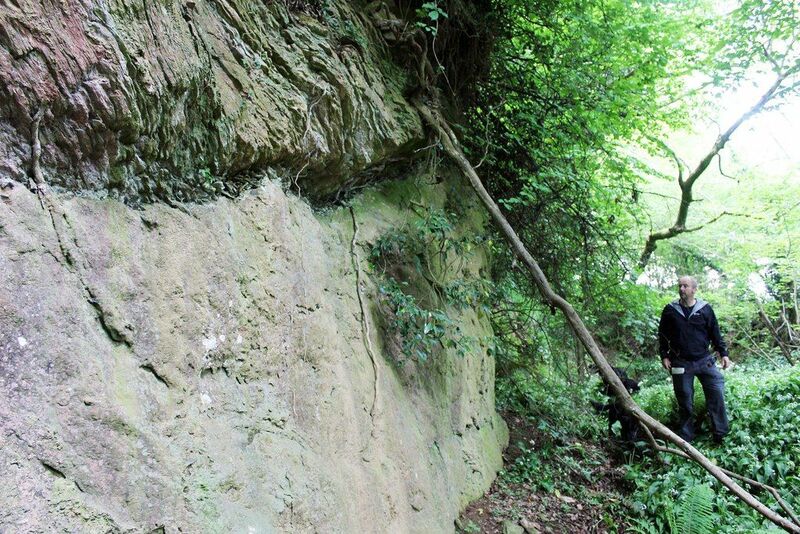 Similarly major joints, faults and bedding planes can easily be identified in a cave and noted on a survey. Even better would be annotated cross sections, for example identifying phreatic tubes or vadose trenches, sediment banks, wall notches, anastomoses etc. 4 Likes langcliffe, The Old Ruminator, Pegasus and flakey like this. That article looks like exactly the kind of thing I’ve been looking for, thanks! Andy, are the anticlinal and synclinal axis symbols in the key at the bottom of http://utter.chaos.org.uk/survex/cp/CP18/CPoint18.htm#Art_1 the wrong way round? They don’t seem to match the dip arrows in the example plan above in fig 5, or any other symbol keys I can find online. Yes, the symbols have been transposed in the bottom figure (possibly when the text was formatted from the original Word 6 document). Figure 5 is correct. The dip arrows point away (obliquely) from the anticlinal axis, and towards the synclinal axis in the sketch on the right hand side of Fig. 5 (The symbols in the middle are not part of the sketch plan). See also for example http://geologyscience.com/structural-geology/.